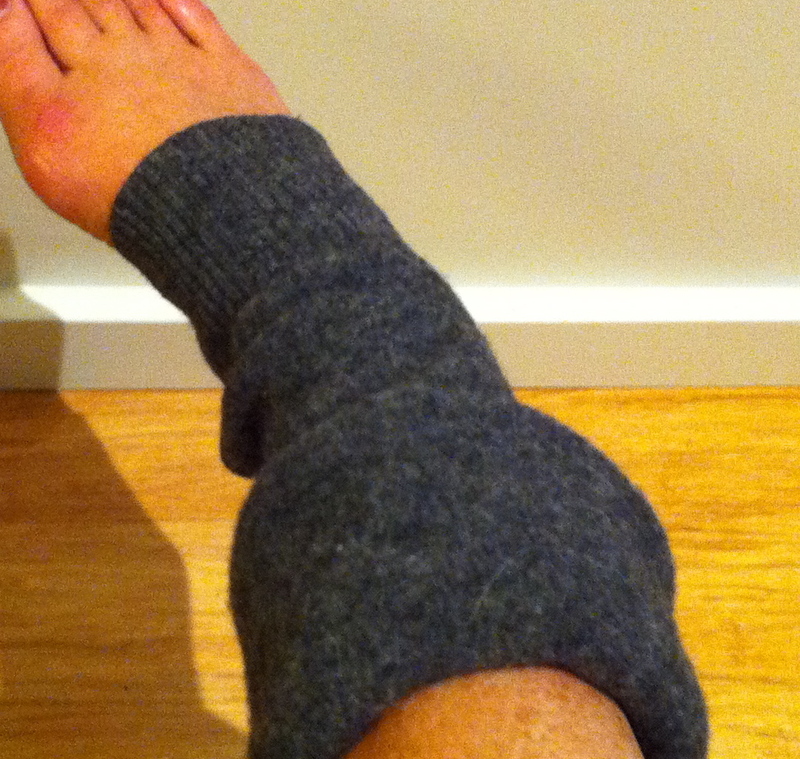 This is the second time ’round for me and leg warmers…This is a very simple and warm alternative to the $35 merino leg warmers that I bought a while back. 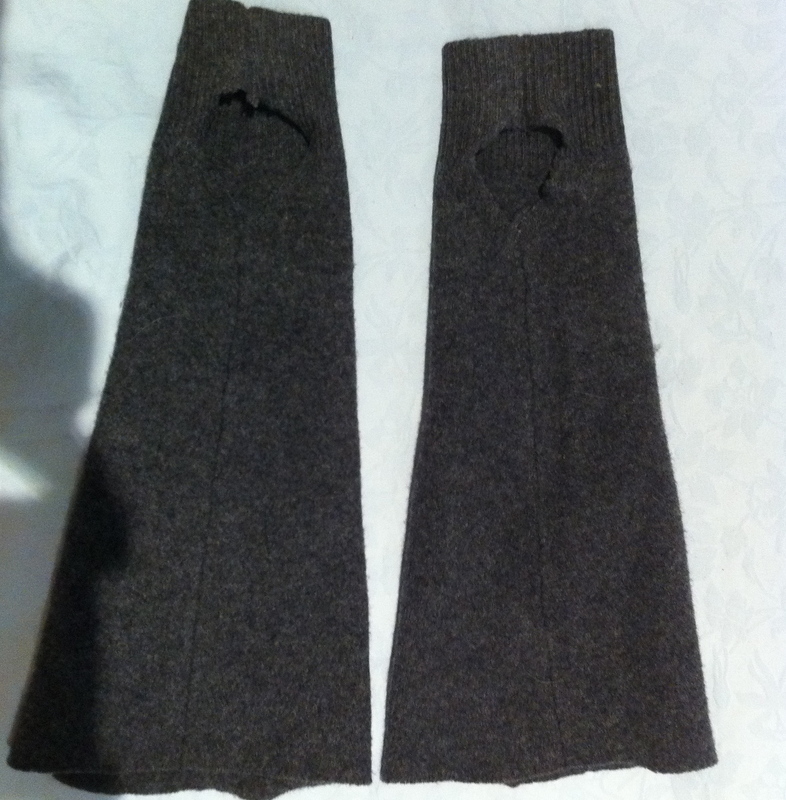 Salvation Army and I got together and made these from a man’s X-large gray merino wool sweater. This is a sample-if I’d known that they would work so well, I would have been more accurate in the cutting and measuring. I machine washed the sweater in hot, hot soapy water. I dried it in a dryer, and then cut the sleeves off. The sweater is now felted and ready to cut without unraveling. I snipped circular “heel” holes about 2 inches up from the sweater cuff edge. 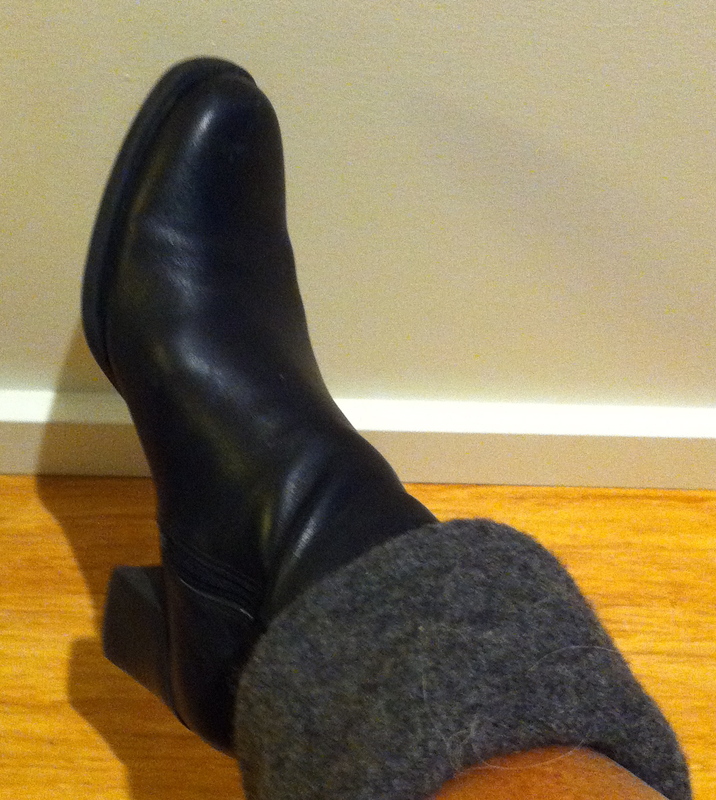 My heel fits perfectly through the snipped hole and keeps the leg warmer snuggly tucked into my boots.